“Repositioning” cruises touch on a tantalizing trifecta for cruisers, offering tremendous value, unique (albeit lengthy) itineraries, and lots of long, laid-back days at sea. Occurring mostly in spring and fall, these one-off seasonal sailings typically unfold whenever a ship needs to relocate from one location where tourism is dwindling to another where it’s just picking up – a phenomenon usually dictated by warming weather patterns; as such, the lot of cruise ships will move twice a year (on a round-trip itinerary). Tagging along on these ships’ mandatory migrations from point A to point B provides a unique opportunity to navigate the globe on rare itineraries, often from one continent to the next. The most popular points for repositioning are in seasonal destinations like Alaska and Europe: Spring sees ships move towards their summer home in Alaska from Hawaii, the Mexican Riviera, Asia, and the Caribbean, or towards Europe from the Caribbean, South America, and beyond. Come fall, the ships reverse route. The unusual combinations are often an engaging combination, mixing the likes of European capitals and Caribbean shores, or Alaskan glaciers and Hawaiian volcanoes. However, with cruise companies focused on getting their ships to their new homeports in as direct a shot as possible, the itineraries are not highly port-intensive, leaving plenty of time for R&R during extra days at sea. Obviously, the cruise lines would much rather operate these repositioning voyages with paying passengers onboard, and often price them at jaw-dropping rates to seal the deal, and to help offset some of the commonly viewed drawbacks of these trips. Namely, passengers are responsible for their return trip, and a one-way or multi-leg plane ticket can prove pricey; those preferring port-intensive sailings will be largely out of luck (there’s not a whole lot between here and there when transiting the Atlantic, for instance); and it’s likely guests will experience questionable shoulder-season weather on both ends of the trip. In order to help you plan your perfect repositioning cruise vacation, our cruise expert has rounded up answers to some of the most frequently asked questions, as well as some useful tips for booking repositioning cruises. We’ve also broken down the repositioning cruise offerings by cruise destination and cruise line so you can decide which voyage is right for you. Once you’ve got your feet wet, head over to our Cruise News blog for the latest updates on the industry, or check out our cruise deals section for ways to stretch your travel budget a bit further. • When is repositioning cruise season? • How long do repositioning cruises last? • What regions and ports do repositioning cruises serve? • How much do repositioning cruises cost? • What kind of cruise lines offer repositioning cruises? • What should I expect onboard a repositioning cruise ship? When is repositioning cruise season? Repositioning cruises are seasonally scheduled throughout the year, usually whenever weather conditions dictate that the vessels head out in search of more tourism-friendly climes. Not unlike the migratory marine wildlife with which they share the waters, these ships will go where the “fishing” is best; in their case, for prospective cruisers. The bulk of the sailings are slated for the spring and fall, when ships make way for their summer and winter destinations. One of the most popular times of year is in spring, when ships move from the Caribbean north towards Alaska and Europe, and again in the fall, when those ships point their hulls back south, towards the warm waters of the tropics. Note that each cruise line operates on its own independent schedule, so expect some deviations in the “norm” – with some destination flexibility, you’ll likely be able to find a repositioning cruise operating somewhere in the globe at just about any time of year. How long do repositioning cruises last? Repositioning cruises tend to run longer in duration than standard sailings, due to the large swaths of water they’re typically expected to traverse – cruise lengths can range from six days to as much as a month or more in duration, though most number around seven to 18 days. Keep in mind that the long distances involved often translate to less time spent in port and more days at sea (a boon to some, a bore for others). What regions and ports do repositioning cruises serve? What better way to experience several continents, sweep an entire coastline, or hit entirely off-the-beaten path ports (the Azores, anyone?) in a single vacation than via a repositioning cruise? It’s a surefire way to experience a unique blend of ports that you just won’t get on ordinary itineraries, and the perfect remedy for the indecisive cruiser not wanting to choose just one region (who said it had to be the Hawaiian islands or Alaskan glaciers, anyhow?). As a rule of thumb, cruise lines typically chase optimum climes (the old migratory rules of heading north for the summer, south for the winter generally also apply here), so look to any seasonal destination as a starting point for your repositioning cruise hunt. Alaska, for instance, is a summer-only cruise destination, and as the season kicks off in May and winds down in September, you’ll see corresponding repositioning itineraries that encompass ports in Hawaii, the western U.S. coast, the Mexican Riviera, Asia, the South Pacific, or the Caribbean (the latter comes with a Panama Canal transit). Europe – both at its northern reaches and in the southerly Mediterranean – is another summer-centric locale, where many ships will traverse the Atlantic from (in spring) or to (in fall) the Caribbean or the rest of the Americas. Likewise, Asia is a booming cruise destination that often swaps ships with the Mediterranean in spring and autumn; other offerings can be found for the Middle East, Africa, and beyond. See our repositioning cruise destinations section for more details. Just note that these longer sailings are not nearly as port-intensive as standard sailings, so expect to be spending less time landlubbing and more time stretching out your sea legs, a plus or minus, depending on your taste for onboard relaxation or land-based adventure. Repositioning voyages offer significant value compared to standard sailings, and there are plenty of deals to be had, with cruise prices offering a well-below-average per diem rate. We’ve seen rates as little as $519 (or $35/night) for a 15-night sailing, though fares more regularly run around the same rate for 7- or 8-night cruises (or $65/night). The cruise lines are happy to discount repositioning cruise rates for two reasons – one, it’s more economically sensible to travel with a boatload of paying passengers than with an empty vessel (even travelers who prefer more port-intensive trips can oft be swayed by a bargain fare), and two, they’re aware that passengers will be spending more days at sea, and be more inclined to drop extra cash onboard in the casino, bars, spa, and shops accordingly. Also keep in mind that because these types of sailing mean embarking in one city and disembarking in another – sometimes a continent apart – you’ll have to factor in the cost of airfare. You’re responsible for your own return trip, and one-way or multi-leg flights can cost more than a standard round-trip. Make sure to inquire with the cruise line or travel agent about the assistance they can provide with return airfare when booking, and don’t snap up a bargain cruise fare until you’re sure of the associated airfare costs – that great-looking cruise-only rate might not be such a steal-of-a-deal if you have to offset it with staggering airfare costs. What kind of cruise lines offer repositioning cruises? Almost all cruise lines, large and small, choose to relocate their ships based on weather patterns and tourism high seasons. On occasion, ships will also “reposition” on their maiden voyages from their building yards, making these sailings a unique opportunity to christen the ship on its first run. Though most cruise lines will offer real bargains to lure travelers in on the journeys, be sure to choose a ship that will meet your needs for lengthier repositioning itineraries, which often incorporate plenty of days at sea. Small ships with few amenities can become boring quickly, not to mention prove more arduous to those prone to seasickness when out on the high seas. 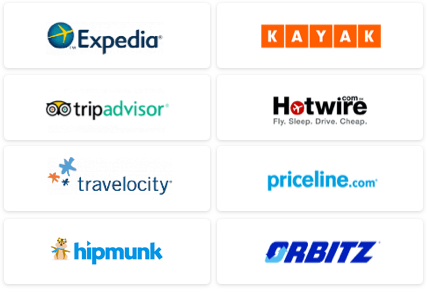 Nearly 20 major cruise companies currently offer repositioning cruises. Find the one that’s right for you in our repositioning cruise lines section. What should I expect onboard a repositioning cruise ship? As repositioning cruises tend to cover longer distances and require more days at sea, cruise lines will often compensate by increasing the offerings onboard, with extra activities, special guest lecturers, classes, special themes and enrichment programs (like culinary programs), and additional “formal nights.” Of course, the resort-style ship’s amenities that oft get overlooked on hectic port-to-port itineraries are best utilized here, with the spa, library, fitness center, lounges, theater, casino, and pools and decks all helping to ensure an engaging voyage. As for your company onboard, note that the longer the cruise, the more limited its potential passenger pool, with some of the lengthier itineraries left largely to retirees or those lucky few blessed with substantial vacation time. Plus, repositioning cruises are rarely sold out, so you’ll have fewer fellow passengers to bump elbows with. Though the cruise staff may be reduced, oftentimes those onboard will appear fresh and extra-attentive towards guests, having just stepped onboard for the start of a new cruise season. Use our Travel Search price comparison tool to find the lowest rates and travel deals on repositioning cruises and one-way airfare for the other leg of your journey. Alaska to/from Hawaii, the U.S. West Coast, the Mexican Riviera, Asia, the South Pacific, or to the Caribbean (the latter features a Panama Canal transit): Alaska is a summer-only cruise destination; expect repositioning cruises here on multiple ships as they arrive in May and depart in September. Transatlantic sailings between the Mediterranean/Northern Europe and the Caribbean, the eastern U.S. (with Florida and the Gulf Coast), eastern Canada, the Panama Canal, or South America: European cruising is at its peak in summer, though some cruise lines do spread out their season in the Med into early spring or late fall. Expect transatlantic crossings from the Caribbean and the Americas in the spring and the reverse come autumn (in September). Note that Cunard is the only company to offer regularly scheduled transatlantic sailings (between New York and London at Southampton); otherwise, a repositioning cruise – offered on dozens of cruise ships – is your only bet. There are nearly 20 major cruise lines offering repositioning cruises around the globe, ranging from tall ships with billowing white sails that carry just a handful of privileged cruisers to mega-ships that entertain thousands with over-the-top amenities. Whether you are expecting the royal treatment, seeking a low-frills budget vacation, or opting in for an educational adventure, you’ll find it on a repositioning cruise. • Buy early or late. Prices can fluctuate a lot between the sale date and the sail date. The sweet spots for purchasing are early in the process, when prices are generally favorable and availability is high, and late, when prices decrease but availability may be limited. • Use a cruise-only agency to make the purchase. Online travel engines may be the easiest way to book most trips these days, but when it’s time to buy a cruise, make sure to also try a cruise agent. 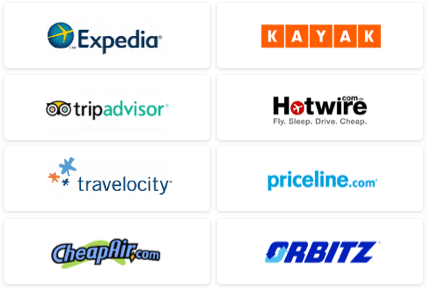 They can offer you unadvertised discounts, group rates, and personalized service in case anything should go wrong. Try RepositioningCruise.com (a division of VacationsToGo.com) or CruiseCompete.com, which both specialize in repositioning sailings. • Check out online resources for cruise deals, including listings published by the cruise lines themselves, travel agencies, and ShermansTravel.com’s very own Cruise Deals page and Cruise News blog. • On mainstream cruise lines, the fare includes meals, room service, entertainment, and aside from a handful of special pay-for activities, the run of the ship. Not covered are tips, alcoholic beverages, soda, special dining venues, and shore excursions. Most ships have alternative dining venues, and service charges typically run upwards of $20 on most mass-market cruise lines. Leave room in your budget for shipboard expenses, because those extra costs – like paying for espresso with dinner, or a service charge for pizza delivery to your stateroom – can quickly add up, particularly on these longer repositioning cruises, which feature extra days at sea. • Luxury lines like Silversea, Regent Seven Seas, Seabourn, and SeaDream Yacht Club include gratuities and all beverages in their fares, in addition to meals and entertainment. • Pre- and post-cruise land packages are not included but are regularly offered with repositioning cruises. These often include several nights’ accommodations and tours that complement the itinerary. Prices vary based on cruise line. • Airfare is not included in a cruise rate unless it’s specifically advertised. Some cruise lines may include airfare as part of a promotion, which will be very clear in the wording of the price quote. As repositioning cruises start in one port and end in another – sometimes continents apart – the associated one-way and multi-leg airfares can be more expensive than standard round-trip flights; be sure to find out how much the flight will cost before booking your cruise. The cruise line or travel agent with whom you book should be able to provide guidance and a preliminary price quote. Alternatively, consider booking through a cruise site that packages repositioning cruises with one-way airfare, CruCon (www.crucon.com) and Travel Themes and Dreams (www.travelthemesanddreams.com) are some contenders. • Transfers to and from the airport are not included in a cruise price unless it’s noted. Almost all advertised cruise prices are for the cheapest (often inside) cabins, so don't be roped in by the first-glance fare if you are looking for an oceanview or balcony stateroom experience. • Inside These have no windows but offer the same room service and room stewards as other cabins. Families often book these for the kids (many include additional pull-down beds at a lower fare). • Oceanview Also called an “outside cabin,” these have non-opening windows. The windows in “obstructed view” rooms are partially blocked by lifeboats or beams and sell for less. • Balcony or Veranda The most popular choice: A sliding-glass door opens to a private deck with a table, chairs, and a safety railing. • Junior Suites These are balcony cabins with more square footage, larger bathrooms, a separate seating area, and larger closets. • Suites These come in several configurations but usually include separate bedrooms, larger bathrooms, walk-in closets, and extra services like butler, concierge, and Internet access. Some even have dining rooms, butler’s pantries, hot tubs, and baby grand pianos. • Location, Location, Location The smoothest sailing part of a cruise ship is on the lower decks, midship. Some ships charge more for higher-deck cabins with the same design. Book the lower deck to save money and keep seasickness at bay. Repositioning cruises typically travel longer distances, and therefore incorporate more days at sea than standard itineraries. For some passengers, those days sailing the big blue, navigating through the middle of nowhere are primed for R&R and nothing short of a little slice of heaven. For others, who prefer more time spent exploring ports, the experience can prove claustrophobic or downright unstimulating. Cruise lines will compensate with plenty of extra onboard activities, often adding in special enrichment programs into the mix; you can, of course, come stocked with your own personal arsenal of books, crafts, and games to help pass the time. Just be prepared to spend more onboard than you might expect to on a regular itinerary. And be warned that extra time spent in the casino, shops, and bars – none of which is included in the fare – can add up quite quickly, leading to an astounding bill by vacation’s end. When crossing oceans and hopping between ports in different countries (and sometimes different continents), you’ll have to plan ahead for all sorts of weather. Cruising from Europe in the fall, for example, where the temps are dipping, to the balmy climes of the Caribbean, can mean stripping down from a heavy sweater to a bikini during the course of one trip. Think in terms of layers for your safest bet. In line with the nature of repositioning cruises, you’re likely to be experiencing questionable shoulder-season weather on both ends of the itinerary. As such, be sure to check ahead for weather norms at all of your ports of call before packing your bags. Also note that more days spent at sea, commonplace for repositioning cruises, are often filled up with additional “formal nights,” when cocktail dresses and dark suits are expected. Be sure to inquire ahead with your cruise line on the anticipated number of nights so that you can pack accordingly. Cruising is geared towards those traveling in pairs, with the per person fare quoted based on a cabin with double occupancy. A solo cruiser pays a “single supplement,” which can be as much as a 100-percent markup of the per-person rate. Read our Top 10 Tips for Cruising Single for ways to skirt extra costs and to make the most of your solo cruise vacation. • Double check the destination. Cruise agencies and online booking sites will usually list a major city (like the one that you’d be flying into) on the itinerary and not the actual port, which can be several hours away. Keep this in mind when planning transportation, sightseeing, and hotel accommodations. • Be an early bird. Arriving a day early for an overnight stay in your port of embarkation is always a good idea, but when you are cruising outside of the U.S., it’s a must. Even if you’re traveling during the summer months when the weather is clear, unforeseen events (volcanoes erupting, pilots striking) can cause your flight to be canceled; at a peak travel time, other carriers are likely to be booked solid. Allowing a cushion of a day or more will ensure that you don’t miss your cruise (although you can catch up with it later). Even if everything goes as planned, you’ll have a relaxing day to explore the port city without having to rush to board the ship.